Some stress is normal, but when it lasts too long it begins to take its toll on our physical and mental well-being. Overtime, it can lead to a host of problems. This throws our Qi out of balance, our immune systems become compromised and disease can manifest. It can take the form of fatigue, chronic headaches, addictions, or other debilitating conditions. Re-balancing the body’s Qi can relief many ailments and help the body to heal itself. Acupuncture is one of the leading therapies for stress relief, depression, and insomnia. 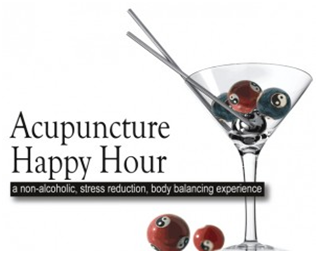 Acupuncture stimulates the release of endorphins in the body as well as the production of serotonin and dopamine. Grab your friends, co-workers and loved ones and join us.